Average yard sales are hit or miss. Sometimes you see a sign and drive up to find nothing that really speaks to you. And other times you end up buying so much that you drive away feeling like you could live the past owner’s life. The latter tends to be true when the yard sale is huge. Take this principle and run with it by hosting a school-wide yard sale on one of your fields. Ask students, parents, faculty, and staff to donate their gently used items for the sale. The parents of students can post information in neighborhood newsletters. Teachers can reach out to their networks of friends and family. Get the whole town involved. See if you can get some refreshments and snacks donated for added funding. Whatever doesn’t sell from the day can then be given to a local charity. Starting a community garden is a great way to ensure the health of your own neighborhood! 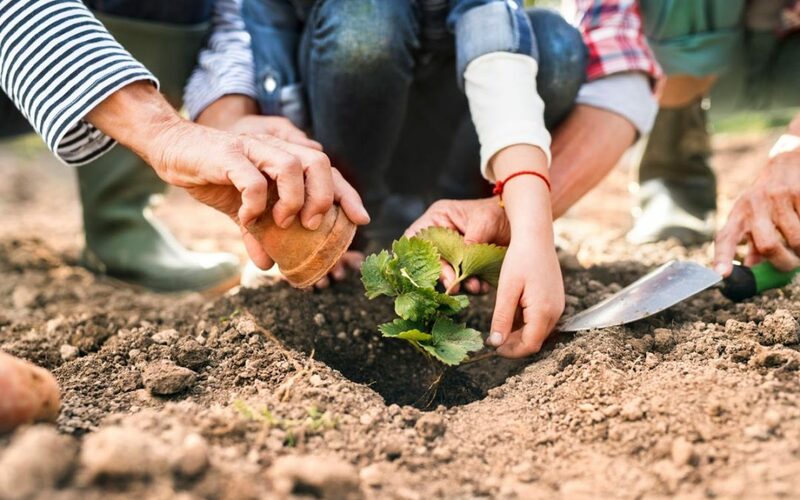 Check out this online community, organized by our friends at the American Heart Association, of men and women who have come together to share experiences and tips about starting their own garden click here. We are proud to have four community gardens currently in operation, and plan to add more! Collecting food as a group has the power to feed the hungry in your own community. For a comprehensive guide to organizing a food drive click here. Gather a group and help people paint and repair their homes, or volunteer to clean up trash around a neighborhood. Distribute leaf bags and offer to assist neighbors with raking their yards. While this may include many historical archives, you could try and relate them to your own lives. What did my favorite park or school originally look like? What did people do for fun in the past?